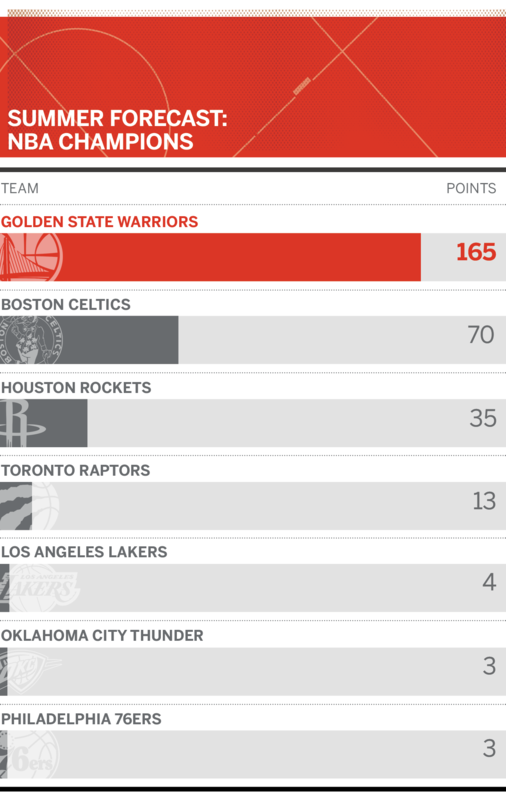 With LeBron leaving the East, the Celtics are officially the presumptive kings of the conference. They’ve had as good of an offseason as anyone else in the league without making any major moves, because they’ll add back a healthy Kyrie Irving and Gordon Hayward to a blossoming roster that was good enough to play in the conference finals last season. There’s the obvious expectation of a linear progression as Philly’s immense young talent develops, but to take the next steps, someone needs to be on the verge of a leap. It was a strange offseason for last season’s top seed, but the core of what made the Rockets so special is back. Houston will spend some of the season tweaking things and adjusting to the expected addition of Carmelo Anthony, who might fit better than some think with the Rockets playing a more comfortable pace than OKC does. And staggered lineups around Chris Paul and James Harden won’t leave opponents much air to breathe. Moving Anthony could be a significant circumstance of addition by subtraction, allowing the Thunder to play more to their identity — fast, athletic, energetic and defensive. Bringing in Dennis Schroder — assuming appropriate attitude adjustments — fills a glaring hole in the second unit. LeBron’s streak of Finals appearances is in serious question, but his presence alone is enough to give the Lakers a chance. They have a solid mix of youth and experience, and Luke Walton will have to manage what works and what doesn’t. Magic Johnson and Rob Pelinka also will likely spend the first couple of months evaluating and make changes accordingly. If the Celtics’ young players can continue to progress while fitting in with their returning All-Star talent, Boston has a roster that is as close to the Warriors’ as anyone in the league. A trio of Al Horford, Irving and Hayward is eyebrow-raising on its own. But with Jayson Tatum, Jaylen Brown and Terry Rozier, it’s extra intriguing. 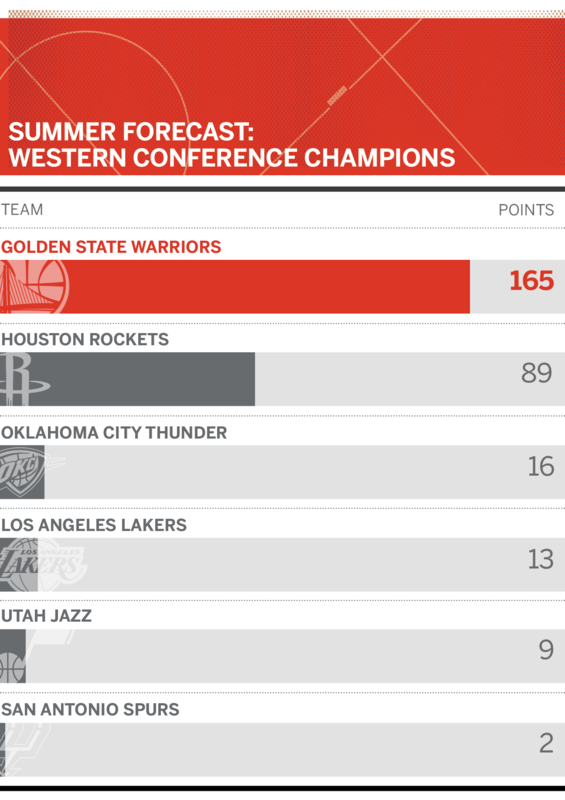 They were possibly a hamstring away from being the defending champions with the reigning MVP, but alas, the Rockets fell victim to perpetual fortune of the Warriors like everyone else left in their wake. On the surface, the Rockets don’t appear better than they were a season ago, which is a little scary considering everyone around them has gotten better. Still, they were the top seed in the West. And while Ariza and Mbah a Moute were quality role players, what made the Rockets so good is still there. They’re on the championship short list earning their own blurb, which is pretty good after the way last season ended, right? 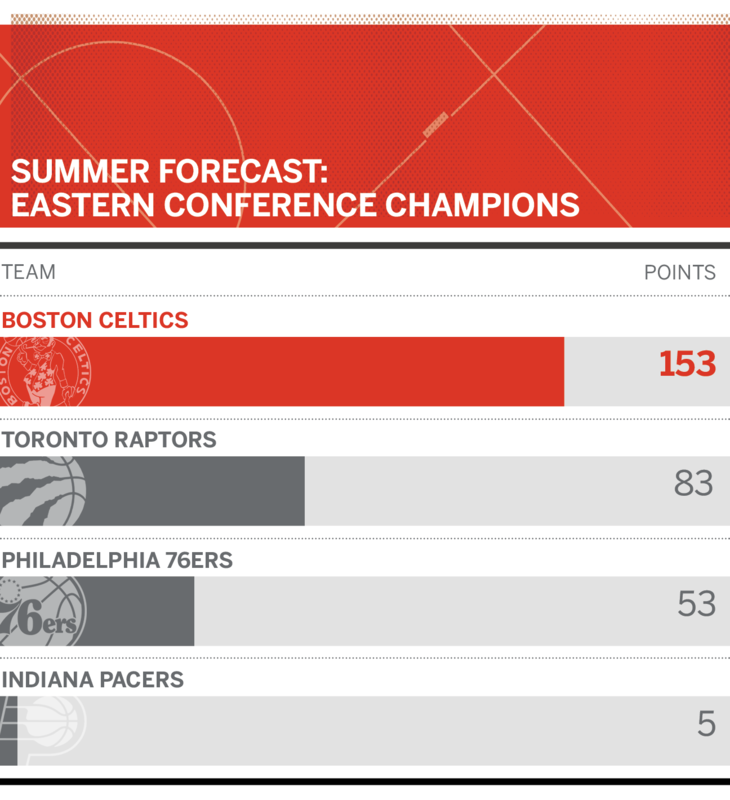 If all goes right in Toronto, the Raptors can be an actual threat to win the East. It can’t be understated what a big deal that would be. It could be enough to persuade Kawhi Leonard to give the Raptors a good, long look in free agency next summer.